DiscountRubberDirect.com offers EPDM White Food Grade Rubber is made from FDA-approved ingredients that offers a smooth finish, good resiliency to abrasion and repels oily and greasy food products. EPDM White Food Grade Rubber is used for general gaskets, countertops, and skirting in all areas of food processing. It is Non Toxic and Non-Marking Rubber approved for food processing, pharmaceutical and cosmetics manufacturing and is certified by USDA for meat and poultry processing. 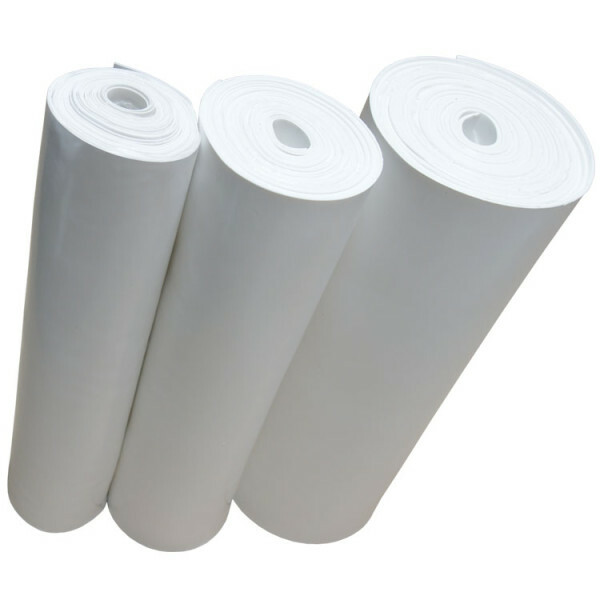 EPDM White Food Grade Rubber is often used for Shaker screens, butcher shops, biotechnology, pharmaceutical processing, commercial kitchens, hospitals, food processing plants, pharmaceutical, cosmetics, industrial plants, and grocery stores. White EPDM is available for food or other sanitary applications. For mechanical fastening, high compression load on flanges and where excellent dimensional stability is required.